The San Marcos Police Officers are investigating five incidents, which occurred this week, including an aggravated assault w/ deadly weapon case and four burglaries. SMPD responded to a disturbance in the construction area at Posey Rd and IH 35 around 10:00 AM. Hersick threatened workers with a large machete type knife. He was later arrested and booked into Hays County Jail for aggravated assault with a deadly weapon. The San Marcos Police Department is also investigating four burglaries that occurred Monday night. Surveillance videos show an unknown suspect using a crowbar to force entry the Vault, Green Parrot, Zelick’s and Sunset Bowling Lanes. Commander Kelly Bomersbach with the San Marcos Police Department said the cases are all believed to be connected. At the Vault, the suspect is seen using a crowbar to open the back door of the business and grab a cash drawer containing approximately $220. The suspect was seen leaving in the front seat of possibly a two-toned Chrysler 300 or a two-toned Nissan Sentra with chrome rims. Around 12:22 PM, an officer was dispatched to Green Parrot. Video footage showed the unknown suspect use a crow bar to enter the building around 6:00 AM; two cash registers were forced open and their cash trays taken before the suspect exited the business through the front doors. Camera footage shows the suspect getting in to the vehicle driven by a second unknown suspect. At approximately 8:05 PM, an officer was dispatched to the Sunset Bowling Alley in reference to a burglary of building. According to SMPD on Feb. 25, the manager advised the officer that sometime between 11:00 PM on Feb. 24 and 8 AM on Feb. 25, an unknown person gained entry to the building through an unknown means and kicked in the office door. As well as the door being kicked in, additional damage was down to the desk drawers, which were pried open. According to police, the manager found nothing stolen. An alarm was reported to have been set off at 6:32 AM, but management canceled it due to an ongoing rodent problem. 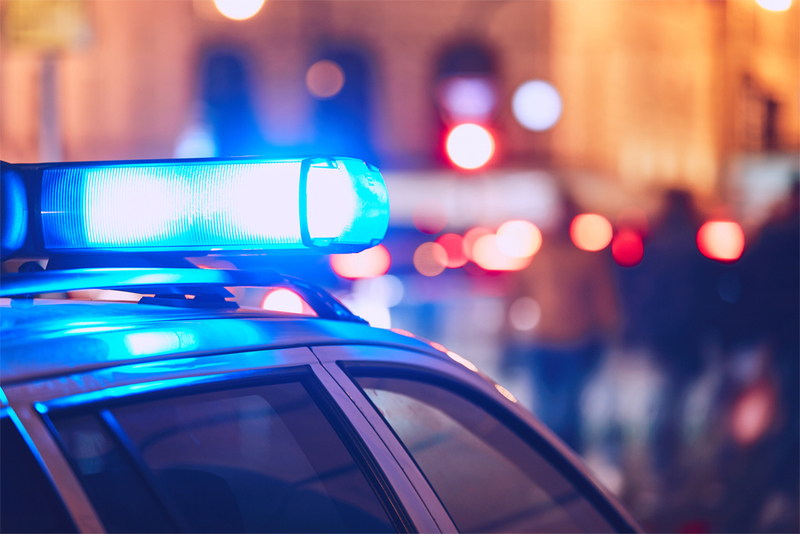 Police said an exterior surveillance video shows a four-door car with a silver top and maroon bottom entering the parking lot shortly before the alarm call. An investigation into the burglaries is ongoing. No photographs or surveillance footage was released.